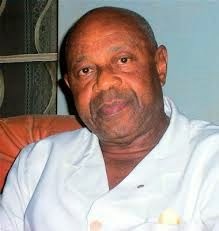 A former Minister of Petroleum, Prof Tam David-West, has berated President Goodluck Jonathan for failing to address the security situation in the country. David-West said he was convinced that the President was afraid of Boko Haram that was why he (Jonathan) refused to visit the parents of the schoolgirls that were kidnapped in Chibok, Borno State over four months ago. David-West said it was wrong of Jonathan to have invited the parents of the Chibok girls to Abuja instead of going to Chibok to visit them, adding that going to visit them would have given both the parents and Nigerians a psychological boost. The former minister said this during an interview with Sahara TV that Jonathan had no right to seek a second term in office and urged Nigerians to rise against bad governance. He said it was unfortunate that more Nigerians were being abducted by terrorists. He described as shocking, the takeover of several towns by Boko Haram members. He said, “Anyone that is complacent about the state of affairs in the country is an enemy of Nigeria. It is a terrible situation and we should be ashamed, President Jonathan should be ashamed. He is the Commander-in-Chief and the number one security officer and citizen of the state. “Over 200 of your girls taken away from your territory for the past three months and you are still talking. First, you are not even sure, his wife said nothing happened, then he also did not believe that anything happened and later he changed and said he knows where they are. If you say you know where they are, why can’t you save them? “With all the security forces in the country, you cannot bring them. Our President is afraid of Boko Haram. He claimed they have infiltrated his cabinet and isn’t he ashamed? Since you know they have infiltrated your cabinet, why don’t you expose them? David-West said even though he is Jonathan’s kinsman, he would not turn a blind eye to the incompetence of his administration.